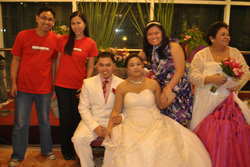 "Thanks for your On-the-Day service with our wedding last Saturday, Sept. 29, 2012. Adshoppe is Highly recommendable!" Hi Jhen and company! Thank you for making our day (09.08.2012) so special and memorable! We really appreciate your help. You did a great job guys!!! "To Ate Jen and the rest of Adshoppe crew, thank you very much. Ate jen, I got you for OTD services, but i got more than that.. I got an instant ate who supported me with wedding decisions and give suggestions when needed... You were very easy to deal with as well... You guys are highly recommended. Rain or shine, you guys rock out!" " Hello Ms. Jen, Thank you so much for making my sister's wedding a very special one, Thank you for all the efforts you have exerted together with your hubby and the rest of the guys...This is indeed a very memorable one which I will keep in my treasure box. Hope to see you again... God Bless you always! " " We're thankful that we have met you guys! yes its fun working with you too! thank you for making our special day wonderful! God bless po! " Church: Shangri-la Cuisine West Ave.
" Hi Ms. Jenny, Thanks for the wonderful event! you surpassed all our expectations. the venue was beautifully made...perfectly decorated!! !most of our guest liked it so0o much,,they even ask to take home the balloons...the wedding flow was smooth..thanks so0o0o0 mch....were blessed to have worked with u and adshoppe..so with AR balloons!! !GOD BLESS U ALL AND TO YOUR MORE EVENTS TO COME!!! !PRAISE BE TO GOD!" "Thanks a lot it was a nice wedding! :) Kahit wala rehearsals hehe.."
"Saying thank you is not enough about how my wife and I wouldn't have had the wonderful wedding we did without your help and expertise! You were an absolute joy to work with and made all of the planning go so smoothly. We also loved your engaging spirit and high level of energy. Once again, thank you for all you did to help us create a beautiful day that we (and everyone else) loved!.... After all, our goal was to have our guests walk away from the ceremony with a wonderful, memorable experience, and from all the compliments we received, they certainly did! Thanks for your professionalism and friendship. We will always be grateful to have "stumbled" upon you on the internet. If we ever have the opportunity to suggests wedding planner in the Metro Manila, you can count on us to highly recommend you. To Jenny Beato and the rest of the team of Adshoppe.... Thank You So Much!!" "We are very satisfied with the services and flexibility of Adshoppe, especially in dealing with clients like us who are overseas and requires challenging schedule to discuss things.. But this has became possible because of Adshoppe's professional service! Thanks a lot!" "Thank you so much to Adshoppe. Without you guys I don't know what will happen to our wedding... 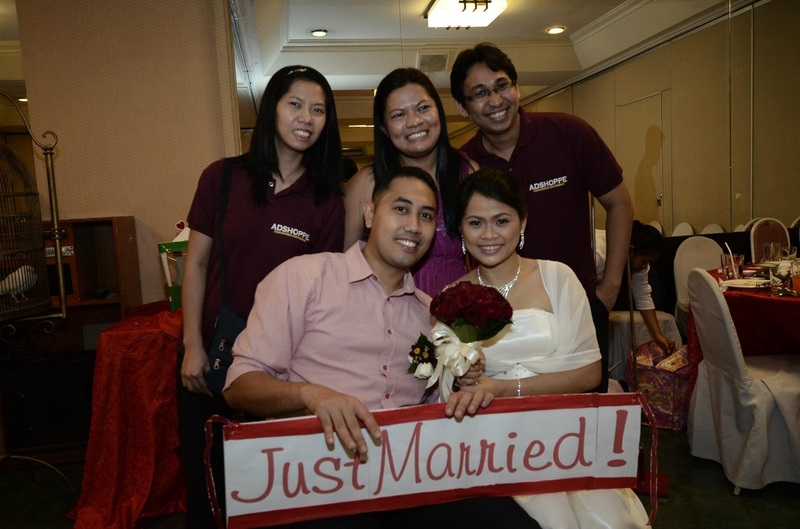 Thank you so much for making our wedding a very memorable one. ."